Value Investing » Value Investing Articles » Why Buying Stock on Margin is Not a Good Idea? Why Buying Stock on Margin is Not a Good Idea? If you have been investing for a while, you have undoubtedly considered buying stock on margin. And why not! Your broker offers margin investing (what is a stock broker?). You have a great idea for stocks to buy. You just have enough money to buy 100 shares, but if you use the full margin available to you in your account, supported with this stock and other stocks in your account, you can potentially buy 200 or 300 shares of this stock. Did I say you believe that the stock is a sure thing? In this scenario, should you use margin and buy the extra shares? Let’s start with understanding what does margin mean in stocks. A margin in your brokerage account is your brokerage firm allowing you to purchase more stocks than you can afford. They do this by using the stocks that you already own as a collateral for the margin loan that they issue to you. In many cases, they will lend you a fraction of the value of the stock that you own. 50% is common, but it could be less for more volatile and riskier stocks. As you can imagine, when the value of the stock goes down, the available collateral decreases too. So if the collateral is not enough in your account to support the margin you have taken on, the broker will issue a margin call. This essetially means that the broker is asking you to add additional cash or stock and increase your collateral. If you are not able to meet the margin call, the broker can choose to go ahead and liquidate assets in your portfolio until the margin requirements are satisfied. See also: how to buy stock? As you can see, playing on margin can be risky should your stocks decline significantly. If you do use margin at some point, keep it conservative. Margin gives you a lot of leverage but it can also destroy your portfolio in a blink of an eye. Long Term Capital Management is a good example of how having even Nobel Laureates on your team won’t help you if you take excessive leverage. For the rest of the article we will assume that you are conservative in nature and have a good understanding of the risks involved. Even so, you wonder, can you spice up your returns a little by using Margin? Modern Portfolio Theory introduces the concept of efficient frontier. 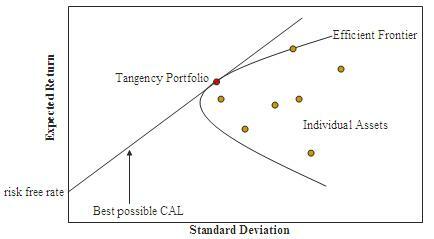 The idea is that a highly efficient portfolio, where the portfolio risk has been diversified away, lies on the risk/return line called the efficient frontier. This is the line that maximizes returns on a given amount of risk, or minimizes risk for a given amount of return. 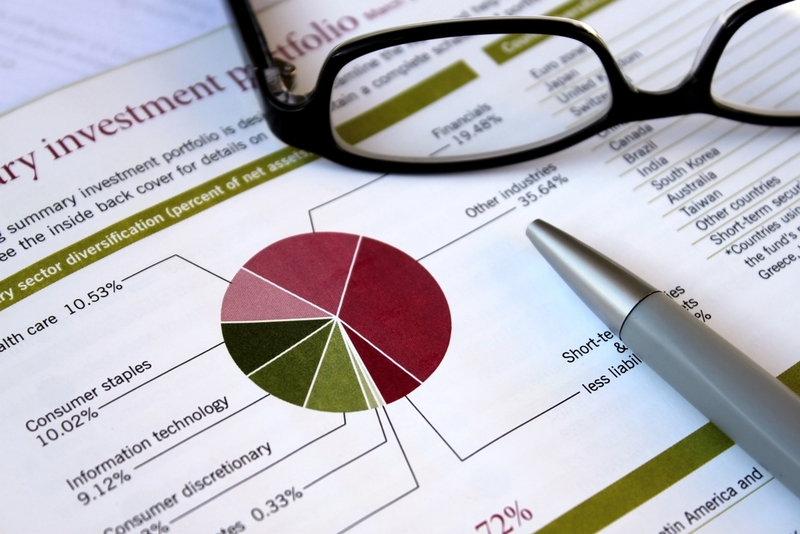 What if you own one of these portfolios? Let’s say you buy the entire market. It is hard to find a more optimal portfolio (according to the Modern Portfolio Theory – which by the way I do not fully subscribe to, but let’s carry on). Are you doomed to the returns on the efficient frontier curve? Well, one way to bust through this line and generate a higher return is to buy this index fund on margin. Just leverage to the hilt. You are still optimally diversified and you just ginned up your returns. You should be okay, right? You have heard of compound interest, right? Sometimes called the 8th wonder of the world. It works miracles. Even a 1% improvement every day balloons into a 3700% advantage in 365 days or just one year. Imagine this working in reverse. Yep, if you lose 1% every day, your portfolio will lose 97% of its value in one year. When you buy stocks on margin, you pay the margin interest rate. Sure some of your stocks will do quite well and you will likely come out better off even with the margin. However, stock returns are not guaranteed, but you paying this margin interest rate is guaranteed. What if the stock really does well as you expect. It gives you 10 times your money. But it takes 15 years to do this instead of the next month as you originally expected. Was it a bad investment? Not at all. Was it a bad investment for you because you bought it on margin. Definitely so. Using margin for long term investing is seldom appropriate. If you are a value investor, you definitely understand that a good stock that becomes a better value should be bought. This is the basic principle of buy low and sell high. If you have bought your stocks on margin, you may never get this choice. When the stock declines rapidly, or if there is a market crash (blood on the streets = best time to buy stocks), you will be forced out of your existing positions. When you lose basic control over your portfolio, you cannot steer it for long term profits. Use margin as a tool that it is, not as a means to generate extra returns. I believe that margin availability is a great thing to have as long as you are disciplined about it. Are you in-between transactions? You are selling stock to buy another but your buy order executes before the sell order. Should you not go through the buy just because your sell has not happened yet? I think it is absolutely fine to use the margin in such cases to buffer your transactions. Just do not keep the margin open for the long term. Finally, value investors generally do not like margin because it represents a risk of capital loss that cannot be eliminated (except by eliminating margin altogether). What do you think? Do you use margin? In what situations?